Le Royal Meridien Abu Dhabi is one of the lavish and sophisticated hotels in Abu Dhabi. It was recently transformed with a comprehensive renovation and revamp, which ultimately made it an iconic architectural landmark. 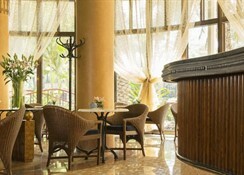 In fact, it is the perfect place to stay for leisure as well as business. This marvellous hotel is located centrally in the commercial district of Abu Dhabi and only a short distance away from the shimmering sands and the shopping districts. There are wide-ranging rooms in the hotel to suit your needs and most of the rooms offer marvellous views of the sands and of course the sky-scrapper city Abu Dhabi. 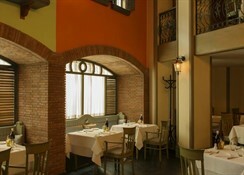 Dine is any of the five restaurants which will take on a culinary tour from America to Ireland to Italy. 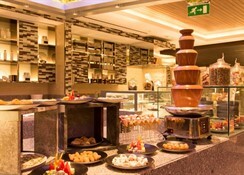 Unwind at one of the four bars/lounges or join the Dining Privilege Program offered by the Le Royal Meridien Abu Dhabi. Le Royal Meridien Abu Dhabi is in the heart of Abu Dhabi offering marvellous views of the beach and the city. The Abu Dhabi International Airport is about 38km from the hotel. If you are a shopaholic, then you won’t be disappointed, as the Abu Dhabi Mall is only 2.6km from the hotel. 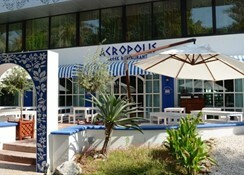 The hotel has different kinds of rooms suitable for all types of travellers. It has rooms in seven categories that include Corner City View Room, Deluxe Room, Royal Club Room, Deluxe Corner Suite, Royal Club Suite, Two Bed Room Deluxe Suite and Three Bed Room Deluxe Suite. All the rooms have all the necessary amenities like air conditioning, flat screen TV, in-room service, laundry Service, kettle and much more. Some of the rooms in the hotel offer magnificent views of the sun, sand and the sea. When it comes to food and drink, the hotel is one of the best in Abu Dhabi. From casual snacks and meals at WHEAT to classy dining at Market Kitchen, the hotel offers wide-ranging dining and mingling options that suits every traveller's budget and occasion. 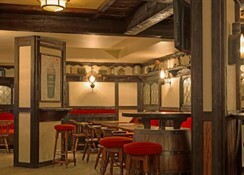 Some of the other restaurants open in the hotel include Stratos, Café Palmier, PJ O’Reilly’s Irish Pub and District By Amalfi. This dazzling hotel’s state-of-the-art sports facilities will delight every traveller. The hotel has a seasonal outdoor pool, where guests can have a relaxing swim. There is a fully-fledged fitness centre that will let the guests maintain their body shape and fitness level when they are away from home. Guests can also take advantage of the indoor swimming pool and the hot tub available in the hotel. 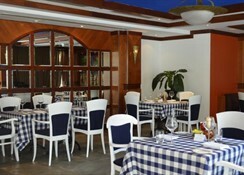 Whether you are staying in this hotel for business or leisure, this hotel will surely delight you. Cards accepted: American Express, Carte Blanche, Diners Club, JCB International, MasterCard, and Visa. As part of our continuous commitment to enhance our hotel and services we are more than happy to inform you that the first phase of the renovation plan will be completed by 1st September 2018 and the second stage will commence. The second wing of 144 rooms will be closed from September for approximately 6 months; during this time we will be working on our lobby, hotel entrance and the newly renovated rooms will be in operation. There will be a minimum visual disturbances due to the lobby renovation, however an alternative entrance will be created to ensure the arrival process is flawless.